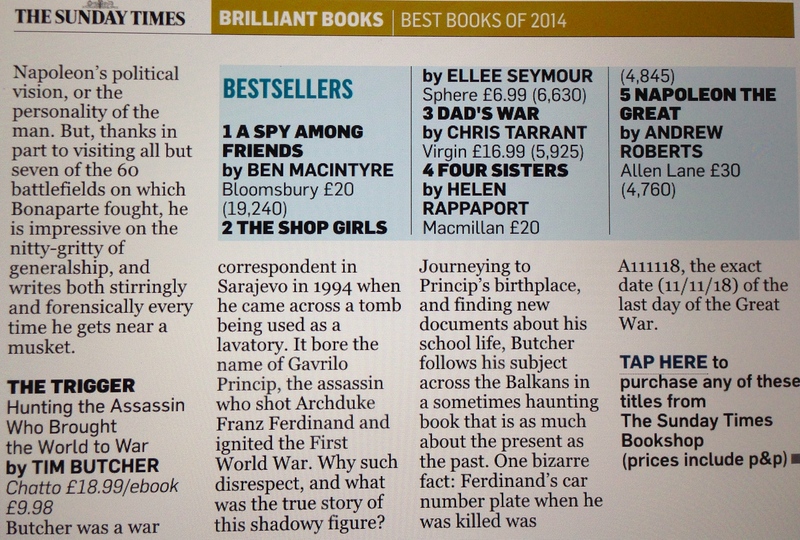 The year has got off on a terrific start with my book The Shop Girls being included in The Sunday Times selection of best reads for 2014. It is ranked second in the highlighted biography section, a total and unexpected shock, though a very pleasant one. 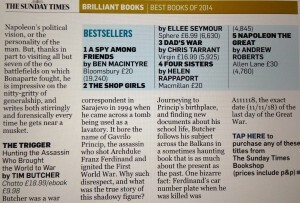 As you can see, my book is listed after Ben Macintyre’s, A Spy Among Friends, who I saw speak in Ely at a Topping author event and I sat rivetted throughout. At the time, I couldn’t imagine anything further from the truth. If I had a bucket list, a Topping event would certainly have been on my wish list, but one I thought would never happen. But it did, as well as having a sell-out launch at Heffer’s bookstore in Cambridge. I also have a number of speaking events and appearances to promote The Shop Girls throughout 2015, including a literary lunch, literary festival and several WI meetings. 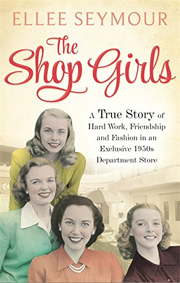 I’m delighted that there is great interest in the true heartwarming stories from women who worked in an elegant ladies department store in Cambridge during the 1940s-60s which had all but faded from living memory, run by another Mr Selfridge-type character, an entrepreneur with a big secret which this book uncovers. Perhaps it’s time I made a bucket list, after all, this just shows that dreams can come true….